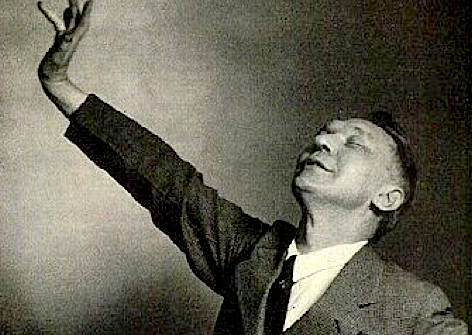 PennSound is now making available a new page of Vachel Lindsay recordings — many dozens of them. They are some of the oldeset materials in this archive. The editor of the Lindsay page is Chris Mustazza. He has described the project under whose auspices these recordings were first made onto aluminum disks. They were subsequently dubbed to reel-to-reel tapes by the Library of Congress in the 1970s. These digitizations are made from the reels, which are stored at Columbia University. We at PennSound are grateful to our colleagues at Columbia for making these unique recordings available. This is far and away the largest collection of Lindsay recordings.